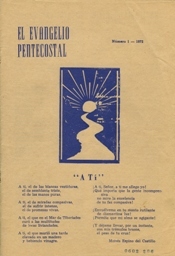 El Evangelio Pentecostal, a widely-circulated Spanish-language magazine, was published by Assemblies of God missionaries Leroy and Elaine Atwood of New Braunfels, Texas, from 1972 to 1992. Some articles originally appeared in English in the Pentecostal Evangel; others were written by Hispanic pastors and educators. El Evangelio Pentecostal, from issues 17 (1977) through 69 (1992), included the statement that it was sponsored by the Gulf Latin American District Council of the Assemblies of God. The Atwoods' periodical should be distinguished from another magazine with the same title, which began quarterly publication from the Assemblies of God national office in 1995.